South Austin bars are more laid back and the best of them have backyards with room to roam! 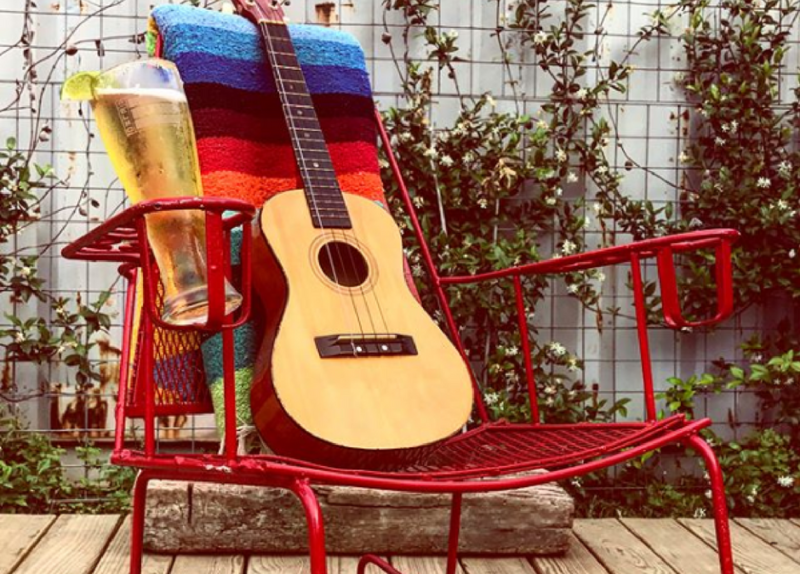 We’ve rounded up the best South Austin bars with backyards for you and your posse. Read on to find your favorite! This 11 acre property on Manchaca south of Slaughter has plenty of room for drinking, eating, watching live music and more! The owners wanted to create a bar that felt like a backyard party and they’ve succeeded. Fans and misters keep you cool in the summer and fire pits and heaters keep you warm in the winter. Their happy hour is killer: 11am to 7pm weekdays, 11am to 5pm Saturdays and 12pm to 5pm Sundays. Don’t miss the frozen margaritas at this biggest of the South Austin bars! Self-dubbed a “Boutique Roadhouse”, Indian Roller is in a converted 50’s ranch house just south of the Manchaca/Slaughter intersection. Its laid-back indie vibe is popular with neighborhood folks looking to avoid traffic and crowds. Enjoy a drink, Panchitas Tacos and live music at this most chill of the South Austin bars. They welcome dogs, but ask that they leave at dark. Wind down some country roads in Manchaca to enjoy a pint of this crisp cider that’s not too sweet. There’s room for kids to roam, leashed dogs are welcome, and you can grab Indian food from the Puli-Ra food truck. Grab a bottle of Texas Keeper Cider #1 to take home; it’s delicious and the bottle is keepsake worthy! Wanna win free flights from @FlyFrontier Airlines? Join us THIS Saturday from 5pm-9pm for free flight giveaways, a live art mural, Kiss FM tunes and much more! Just south of Ben White off Congress, Still Austin is the only distillery in the Austin city limits! Order a whiskey flight to sample a little of each or a cocktail flight if straight whiskey isn’t your thing. Tip: if you order a flight, you can get $8 off a bottle of whiskey to take home! You can also take a tour and learn how what you’re drinking at this South Austin bar is made. Enjoy your samples in their large outdoor area where dogs are welcome or inside in the a/c. St. Elmo is located next to Still Austin, so if beer is more your thing, you’re covered! Flights are available so you can sample everything to decide your favorite. Food includes sandwiches, tacos, and more from the Soursop food truck. If you want to engage in some friendly competition, there are yard games outside and board games inside. Their Angus beer, which is a Stout, is very popular with patrons! St. Elmo and Still Austin are both part of The Yard, which will have 150,000 square feet of manufacturing and retail space when completed. More than just a collection of South Austin bars, The Austin Winery, Spokesman Coffee, and Wooly’s Beach Volleyball are just a few of the other current tenants in the space. Want to haunt one these backyard bars? Our apartment locator services can find you the perfect South Austin apartment!